Note: The design styles are new and the Word templates are now accessible. 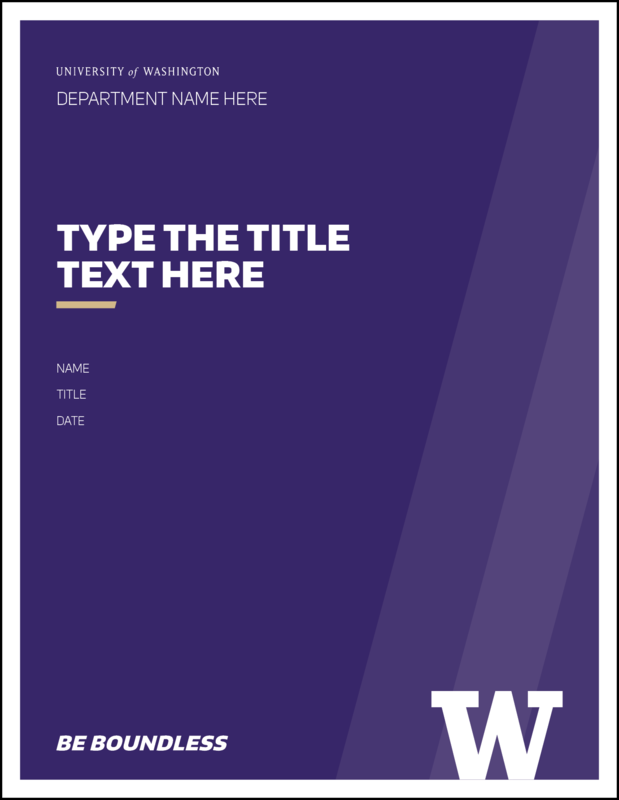 Templates that contain more design styling than a standard letterhead. 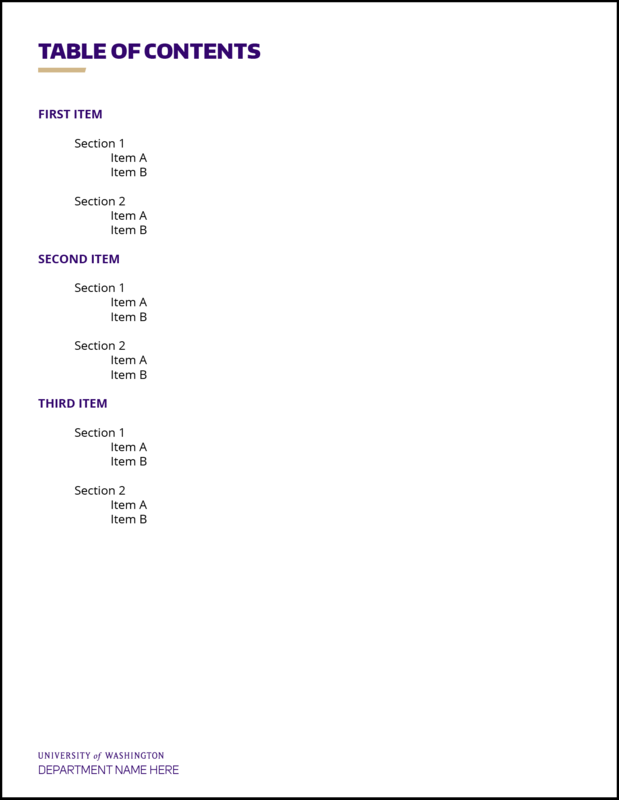 These are not replacements for UW business papers but can be used for various communication purposes. 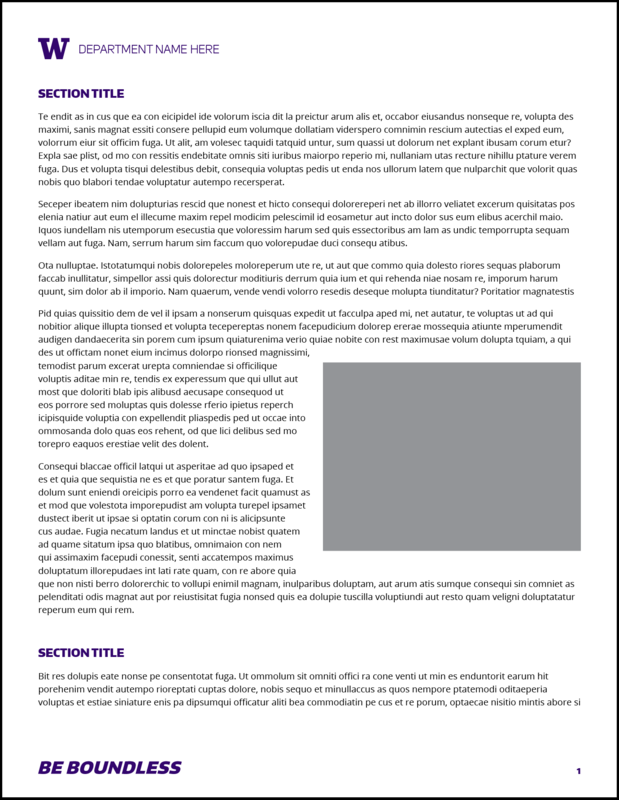 The templates are available in two design styles that accommodate a range of content. 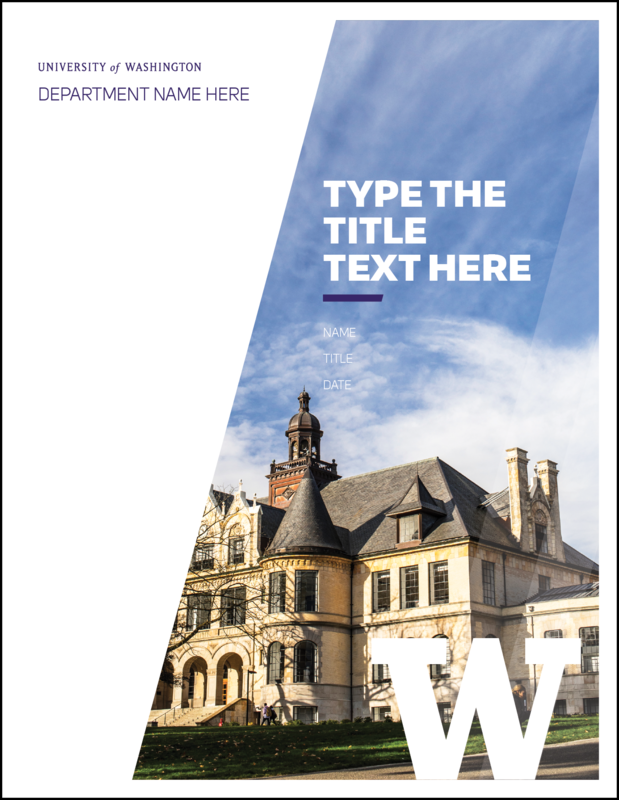 Download and install the University fonts prior to using the files below. When using the Word file customize logos, graphics and other layout options in either the header/footer or in the master pages found in the publishing view. Edit content such as text or photos in text boxes throughout the document. Elements styled in the header/footer may appear as black on the screen. This is a viewing function only and will be in full color when the file is saved as a PDF or printed. 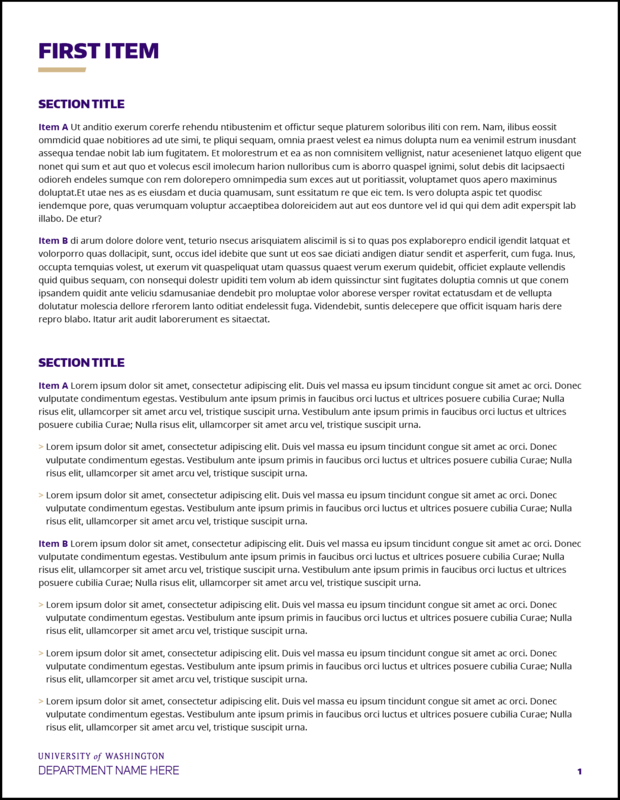 To remove elements from the header/footer, simply select graphics, copy and paste into the main document. If you are sharing this document for editing, you may need to replace the brand fonts with MS Office compatible fonts. Arial Black is a good substitution for Encode Sans, Calibri Light may be substituted for Uni Sans and Calibri Regular may be substituted for Open Sans.